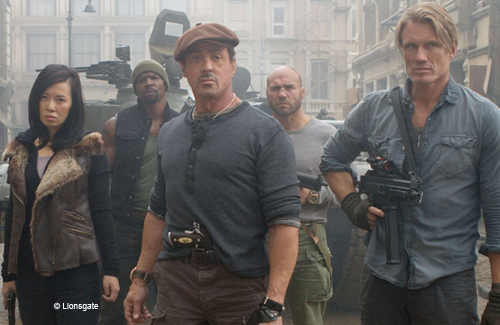 THE EXPENDABLES 2: What Fans Can Expect! Actors Talk! 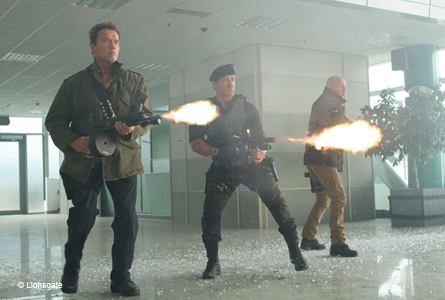 Some of Hollywood’s most prolific names in the action film genre have gathered, for some a second time, to star in a reuniting of action film stars to pull off some of the best fighting sequences in the history of film making to create “The Expendables 2”. Stars of the film came out to Hollywood Blvd. where the film had it’s Los Angeles premiere at the Graumen’s Chinese Theater on the red carpet where they talked to reporters. 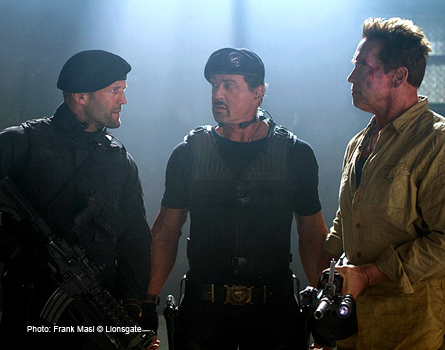 Dolph Lundgren and Chuck Norris both said that it was great to be part of the legend action heroes cast. 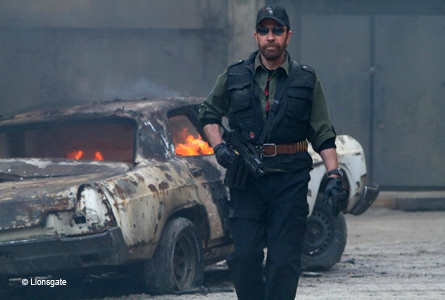 For Norris, he stated that he has known many of the actors for thirty years and was a treat to reunite with them in “The Expendables 2”.